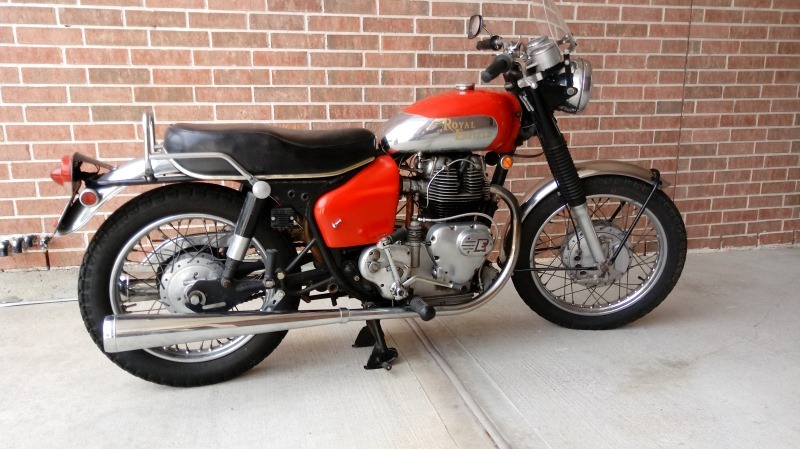 I bought this 1969 Royal Enfield 750cc Series 2 Interceptor brand new in England and it runs better now than when it was new. Now this bike needs a new home. I would rather see it on the road than wasting away in my garage. I have fitted a modern clutch, electronic ignition, and some other custom features that make this bike a pleasure to ride. A complete description and pictures of this bike can be found on my website gadgetengineer.com. The title is clear and I have reduced the price to $6,900. This price also includes my large collection of used and New Old Stock parts.